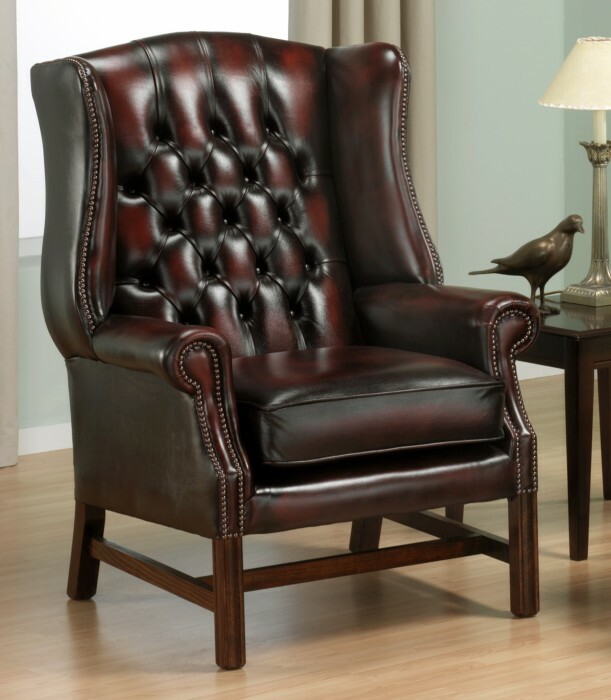 The Georgian Wing Chair, a classically traditional wing backed chair. deep buttoning to back, arms and wings(different options available). Attractive sweeping wing detail and Georgian style legs with H frame completes the elegant timeless design. The frame is the strength and backbone of any furniture, so we only use the finest seasoned hardwood beech, which is managed from a renewable source, for added strength all joints are glued, screwed and dowelled. Studs are all individually hand tacked. All leathers are full hide through dyed. Due to the nature of hand made furniture please allow for a +/- 30mm variation. Be the first to review “Georgian Wing Chair” Click here to cancel reply.